With its gentle, program dependent optical compression, and meticulously designed tube amplifier, the LA-2A is the go-to compressor for professional mixers around the world. In 2001, Universal Audio set the standard in analog emulation with the original UAD LA-2A plug-in. Today, UA’s engineers have redesigned the LA-2A plug-in with more obsessive detail. The LA-2A Classic Leveler Plug-In Collection for UAD-2 hardware and Apollo interfaces features immaculate models of three highly sought-after LA-2A units, giving you the most authentic emulations ever of this iconic compressor. The Teletronix LA-2A Leveler Collection puts three of the most coveted incarnations of the iconic Teletronix processor at your fingertips. Like the hardware, the LA-2A Silver, LA-2A Gray, and LA-2 models offer distinct variations in time constants, compression knee, headroom, distortion, program and frequency dependence, and more. With a brushed aluminum panel and original T4B gain reduction module, this cherished late-1960s “Silver” version of the LA-2A, manufactured by Bill Putnam, is perhaps the most flexible of the three plug-ins in the collection. Its fast time constant makes it suitable for the widest variety of program material, including transient-rich sources like drums and percussion. Jim Lawrence’s original mid-1960s “Gray” version the LA-2A maintains a more average time constant, providing a range of “medium-speed” compression. The exceptionally rare, early 1960s LA-2 unit preceded the LA-2A by several years. It provides the slowest response and a unique “mellowed” sound due to 50 years of luminescent panel aging inside the T4 module. Use the LA-2 with legato tempos and vocal sources for a transparency and sublime mood unlike any other compressor. 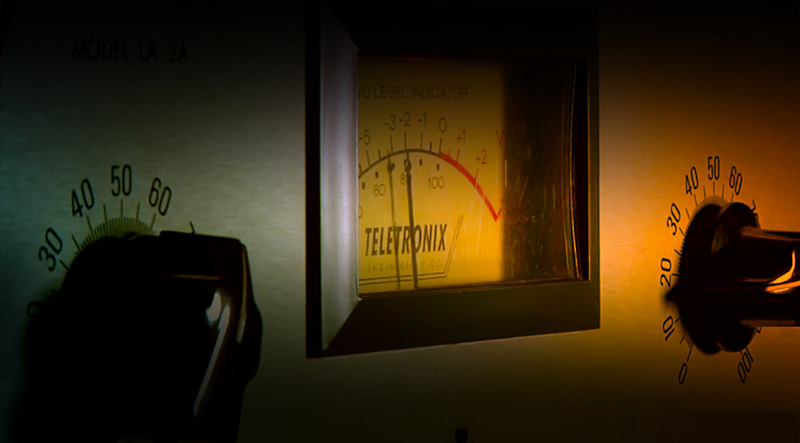 Superior plug-in emulations of revered Teletronix LA-2A Leveling Amplifiers. Includes three historic versions — LA-2A Silver, LA-2A Gray, and original LA-2 — each with their own distinctive sonic attributes. Models entire electronic path — including transformers, tube amplifiers, and T4 optical cell distortions — for unmistakable analog color and character. Incredibly easy-to-use Peak Reduction and Gain controls. Offers the ideal optical compression sound for vocals, bass, drums and more. Includes plug-in presets from famous LA-2A users Ross Hogarth, Jeff Juliano, Carl Glanville, Darrell Thorp, and Vance Powell.